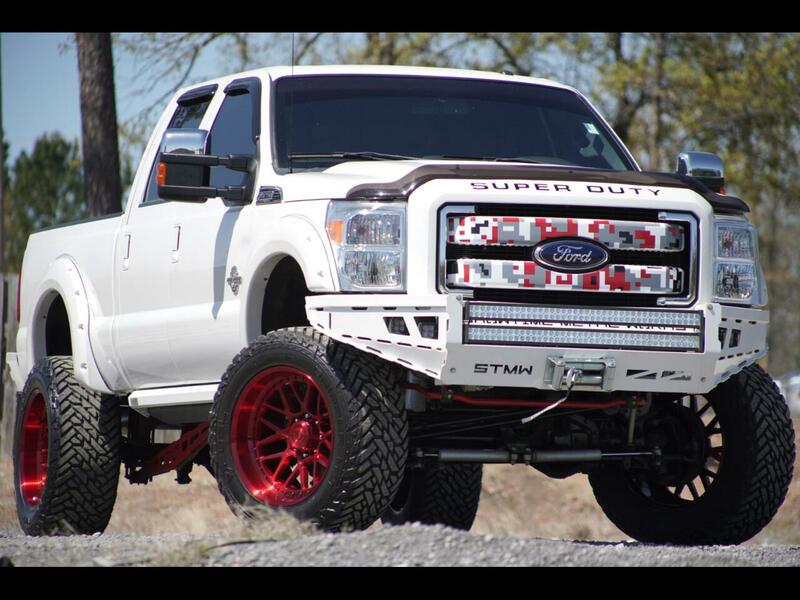 2016 FORD SUPER DUTY F-250 PLATINUM LIFTED! Loaded with tons of Upgrades, V8, Turbo Diesel, 6.7L, AUTO. Our service team installed a TGC kit, STMW bumpers, rear rock lights, front light bars, winch, powder coated BC FORGED WHEELS, New Fuel Gripper M/T tires, XL power steps, fresh service and full inspection! Inside you will find black leather seats, power seats, heated and AC seats, factory touch screen interface, AM/FM SAT radio, CD Player, Bluetooth, SONY speakers, steering wheel controls, cruise control, backup camera, sunroof, power windows, power door locks, power mirrors, tow package and much MORE! If you want to know more about this BUILT FORD or any of our inventory, please give us a call 803-808-5235 OR stop by for a test drive TODAY!